They exist in the all-new ASPEN UNIVERSE?yet belong to NO ONE! Enter a brand-new phase in Aspen's growing collection of thrilling series, as characters from our most critically-acclaimed titles unite-EXECUTIVE ASSISTANT IRIS, Soulfire's MIYA, the supernatural vigilante DELLEC, along with an exciting new cast of characters come together in this altogether different story - yet one thing is certain-their respective lives are in no less danger! A mysterious conglomerate has emerged on the scene with a sinister purpose-the incorporation of pure evil on a scale never seen before! But, will this collection of unstable personalities come together as friends to defeat this new adversary-or will they instead battle as foes?! 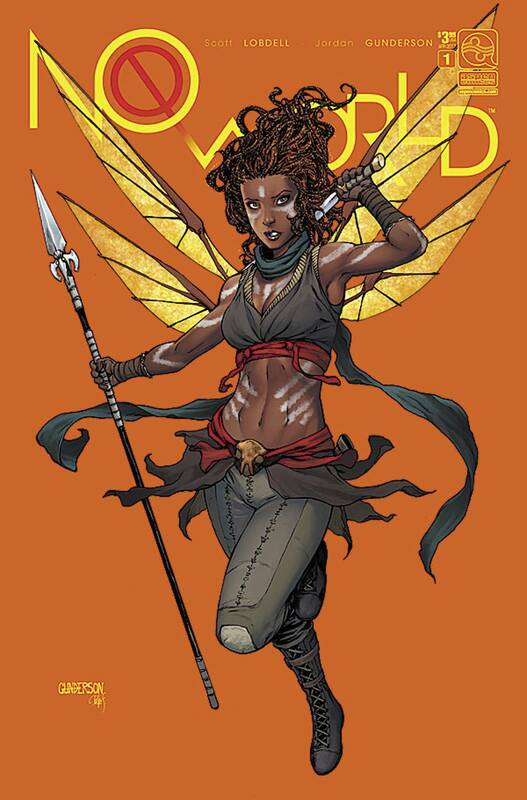 Find out in this new Aspen Comics title ready to tip the scales on everything you thought you knew about the Aspen Universe! Written by legendary Uncanny X-Men scribe Scott Lobdell (Michael Turner's Fathom) with art by Jordan Gunderson (Aspen Universe: Revelations), this is THE NEW Aspen title you won't want to miss!